Democrats face significant obstacles in the fight to strengthen voting rights. As the fiftieth anniversary of the Voting Rights Act approaches, the right to vote is under siege. From 2011 to 2012, 180 new voting restrictions were introduced in forty-one states, with nineteen states rolling back voting rights in some way. 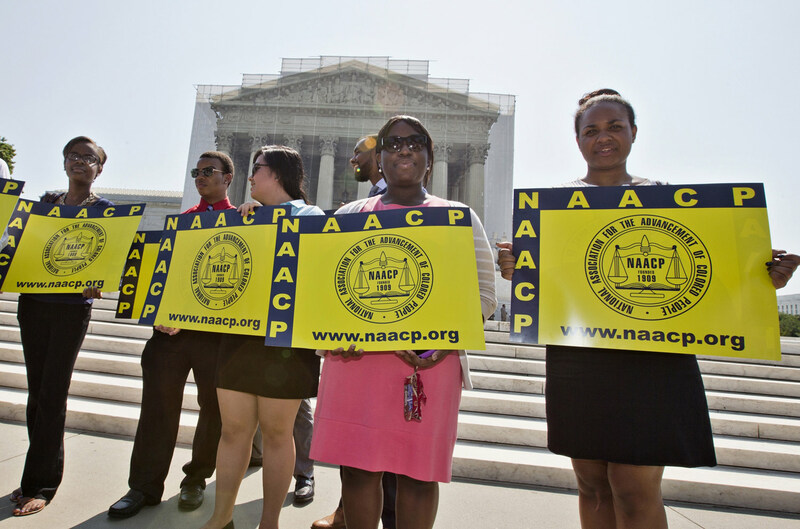 Then, in the 2013 Shelby County v. Holder case, the Supreme Court struck down Section 4 of the Voting Rights Act (VRA), freeing those states with the worst histories of voting discrimination from having to approve their voting changes with the federal government. The result has been the greatest effort to restrict access to the ballot since the end of Reconstruction. The federal government and civil-rights groups have been struggling to respond ever since. The prospects for a legislative response to the Shelby County decision are slim. Last year, a bipartisan coalition led by House Republican Jim Sensenbrenner and Democratic Senator Patrick Leahy proposed the Voting Rights Amendment Act, which would partially restore the centerpiece of the VRA by requiring states with five voting-rights violations in the past fifteen years to clear their voting changes with the federal government. The law would immediately apply to Georgia, Louisiana, Mississippi and Texas, but it would not cover Alabama, where voting-rights marches led to the birth of the VRA, or serial offenders like Florida. And despite the VRA’s overwhelming reauthorization in 2006—by a vote of 390-33 in the House and 98-0 in the Senate—few Republicans have stepped forward to sponsor the new bill. In the absence of new legislation strengthening the VRA, federal election reform has emerged as a top priority for voting-rights groups. The biggest problem in recent presidential elections has been the long lines at the polls in swing states like Ohio and Florida. “We have to fix that,” President Obama said on election night 2012. So he formed a bipartisan election commission, which made recommendations on how to reduce the long lines, ranging from expanding early-voting opportunities to adding more election-site workers and polling machines. The Brennan Center for Justice has also proposed modernizing the country’s antiquated voter-registration system so that eligible voters would be automatically registered at government agencies. This reform would add 50 million Americans to the rolls. Congressional Democrats have introduced legislation to reduce the long lines and modernize voter registration, but any type of election reform has been a nonstarter with Republicans. “I don’t think it’s the federal government’s role to make sure there are no long lines,” said Michigan Republican Candice Miller, chair of the Committee on House Administration. With federal legislation unlikely, the best prospects for election reform are in the states, primarily blue states controlled by Democrats. According to the Brennan Center, twelve states quietly passed measures expanding voter access in 2014—including Illinois, which adopted election-day voter registration and expanded early voting. But adding a right-to-vote amendment has long been a utopian dream. Any new amendment requires the ratification of two-thirds of Congress and three-quarters of the states—a virtual impossibility in the current political climate.